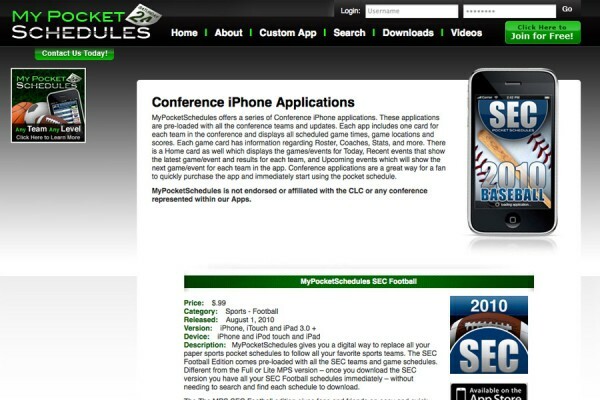 The MyPocketSchedules iPhone application was designed with sports fans, coaches and parents in mind, so that easy-to-lose paper sports pocket schedules could be replaced with easy-to-use digital pocket schedules. MyPocketSchedules sets itself apart from other sports applications available in the iTunes App Store, because of its versatility, simplicity, and functionality. This app allows you to create sports schedules and/or download already created schedules for any sport, at any level, including: youth, high school, college, intramural, adult, and professional. 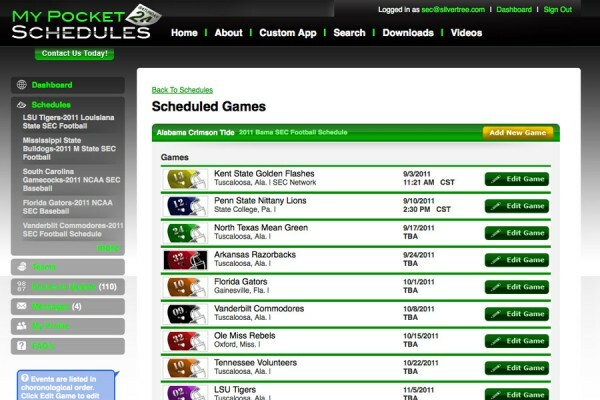 MyPocketSchedules.com allows you to create and manage your own team’s sport schedule(s). You can then access your schedule via your iPhone from your MyPocketSchedules app. You can also access schedules that you don’t manage. This lets you easily view schedules for your favorite college teams, your alma mater, and your team all in one app! First, you will need to create an account on MyPocketSchedules. From here, it would be beneficial to take a look at our help videos and FAQ videos once you have logged in. 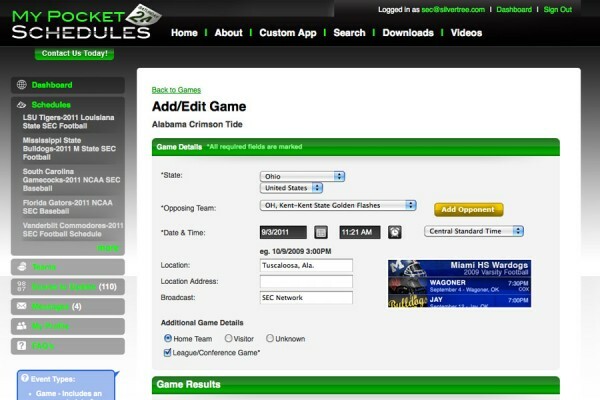 Create your team and add games, practices, and/or tournaments to your schedule. 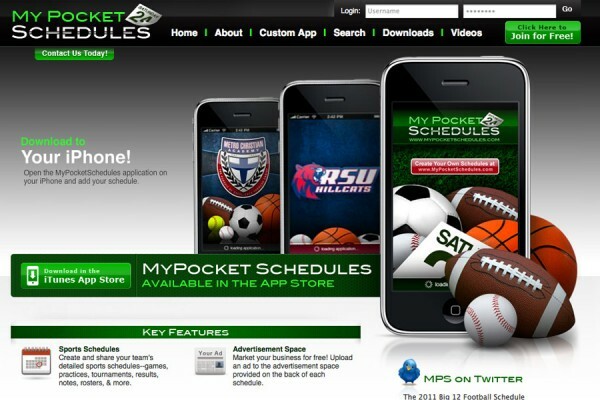 Once your schedules are created you can publish your schedules to the iPhone MyPocketSchedules application. Anyone with an iPhone can download the app from the iTunes store and get your schedules. Keep your teammates, students, athletes and parents up to date using the Coach Notifications under the schedule.